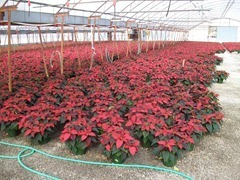 The turkeys here at the farm get restless when the poinsettias start changing colors. 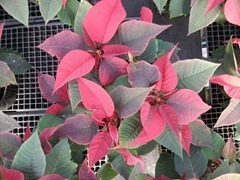 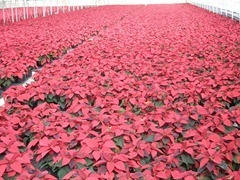 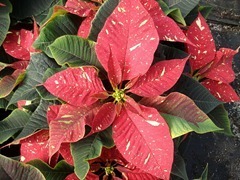 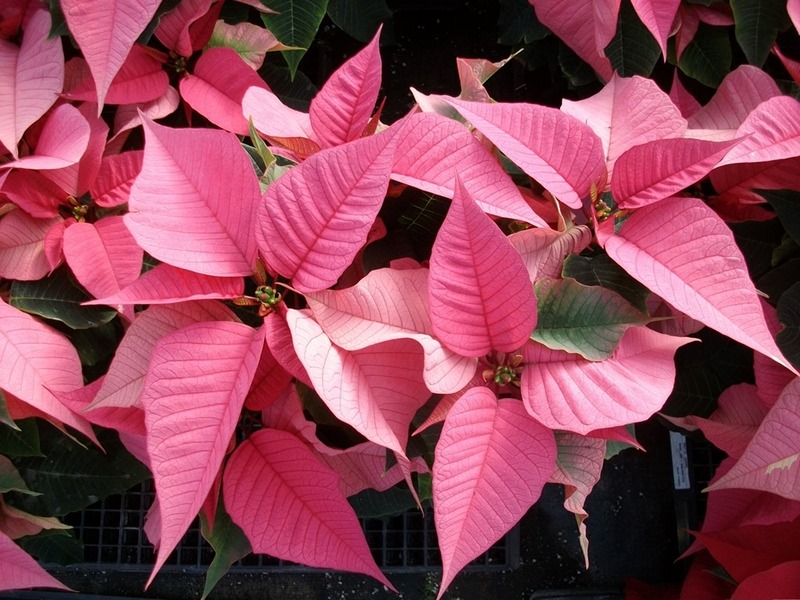 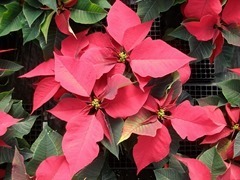 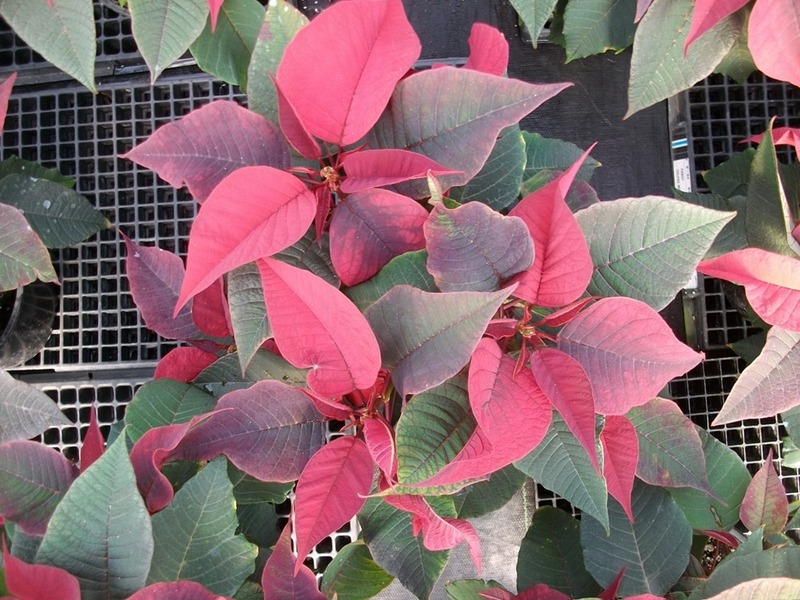 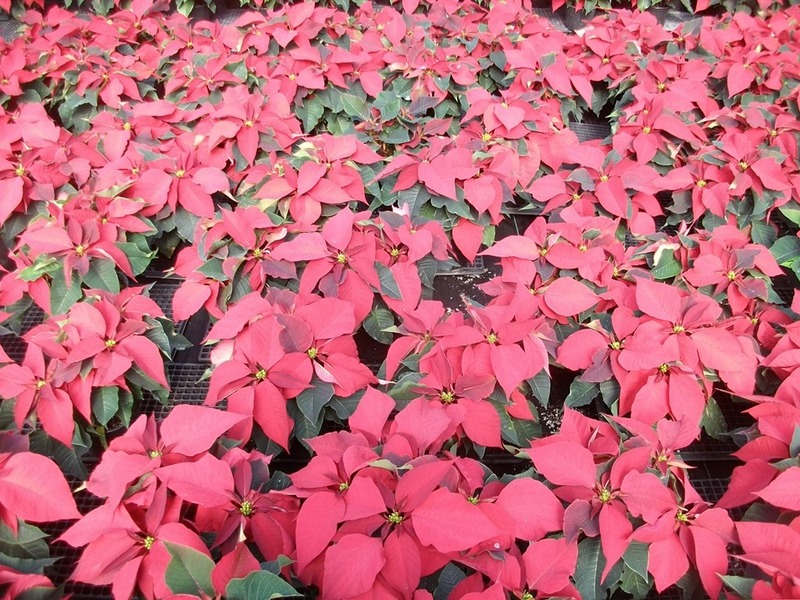 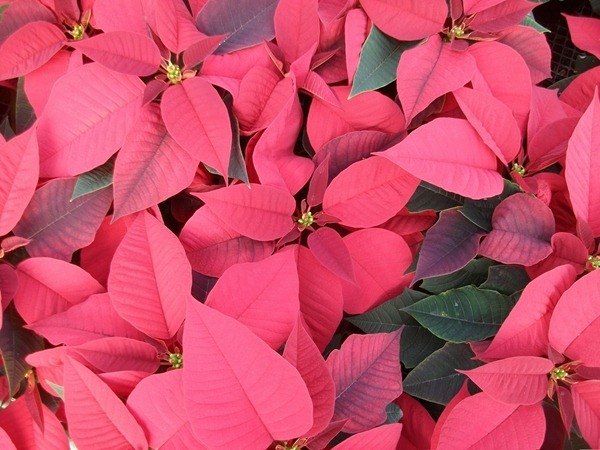 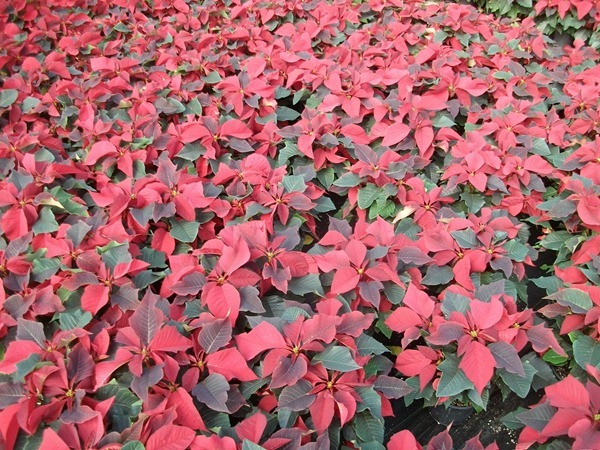 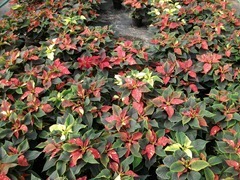 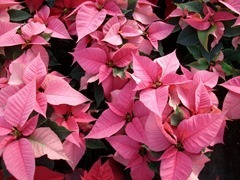 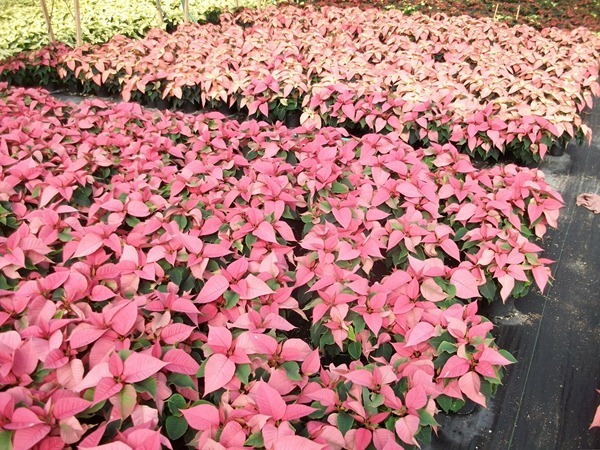 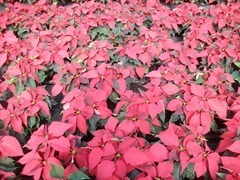 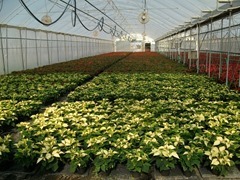 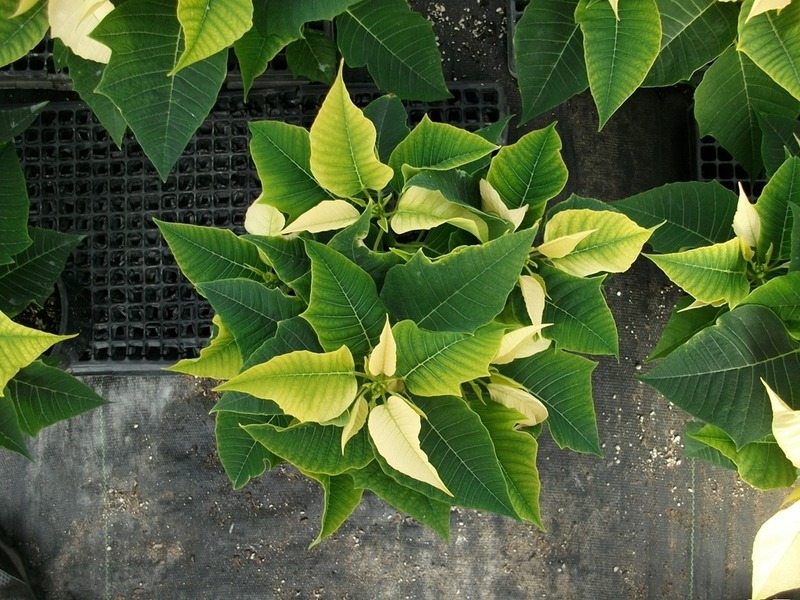 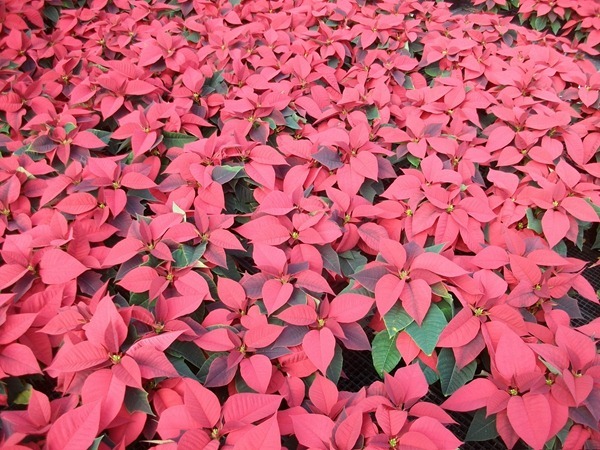 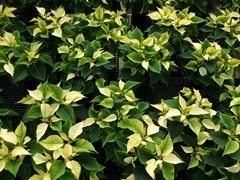 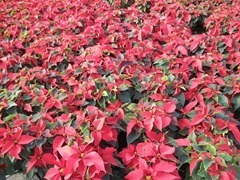 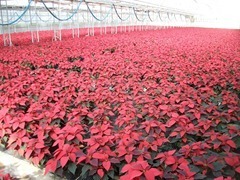 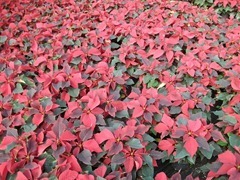 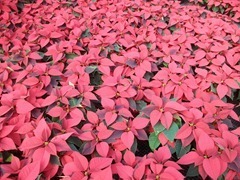 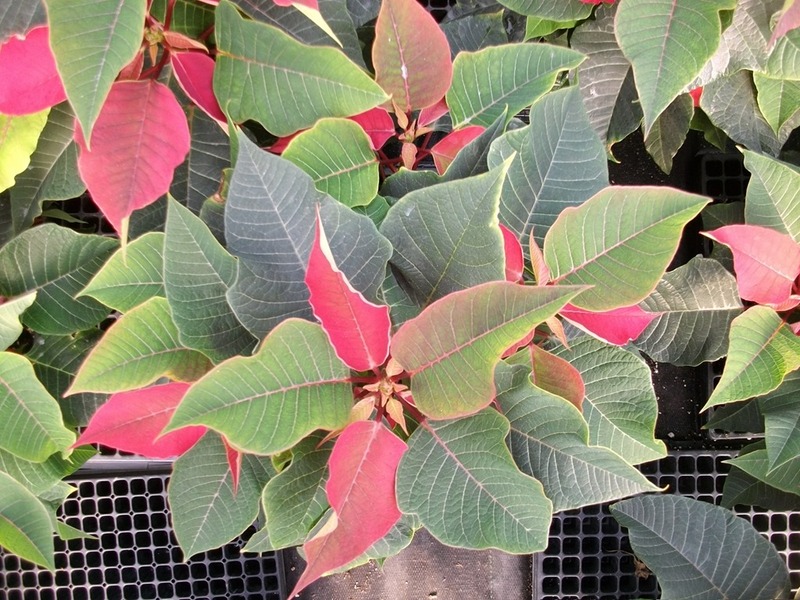 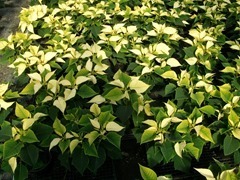 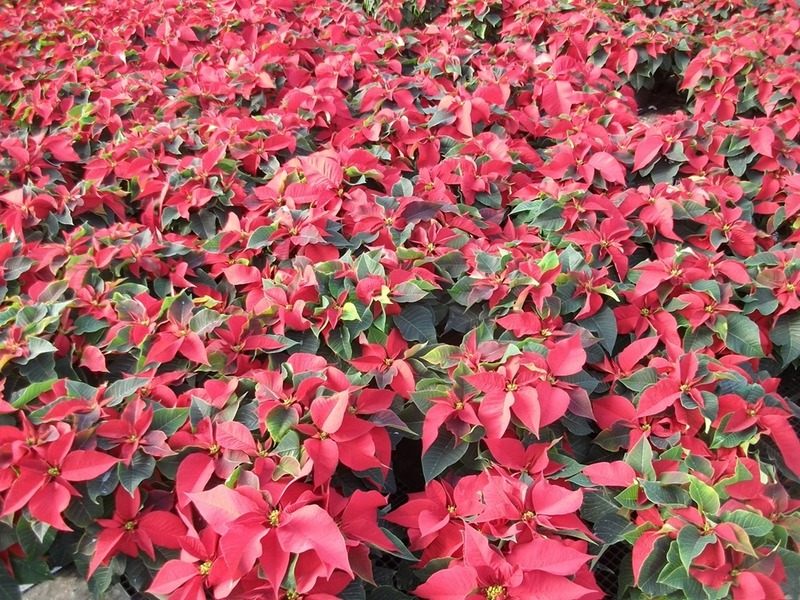 Here are some pretty poinsettia pictures to get you in the holiday spirits. 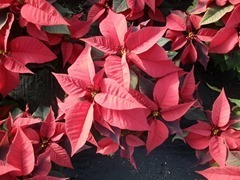 A big thank you to all our friends and clients! We hope you are able to spend some memorable time with those closest to you. 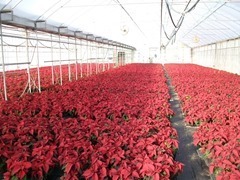 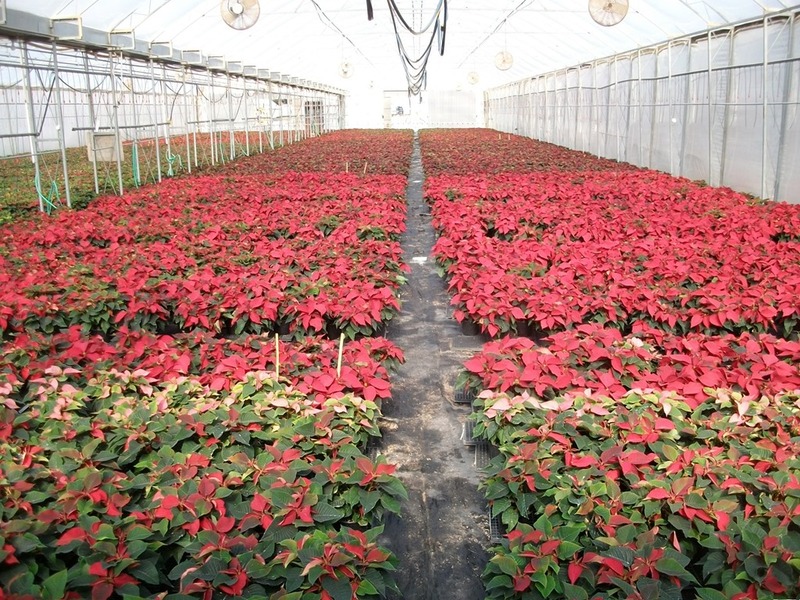 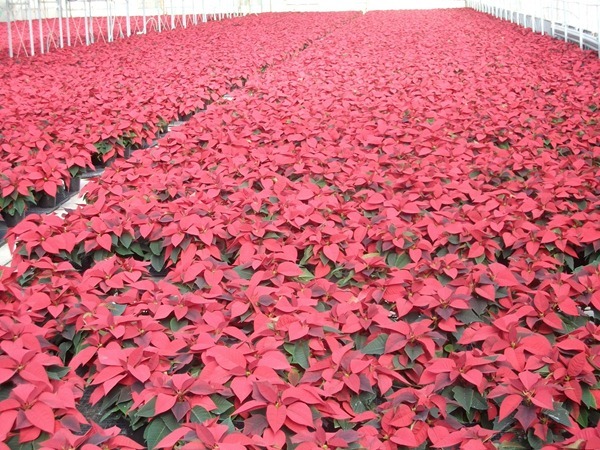 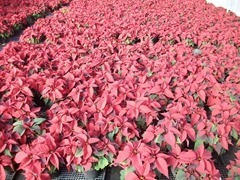 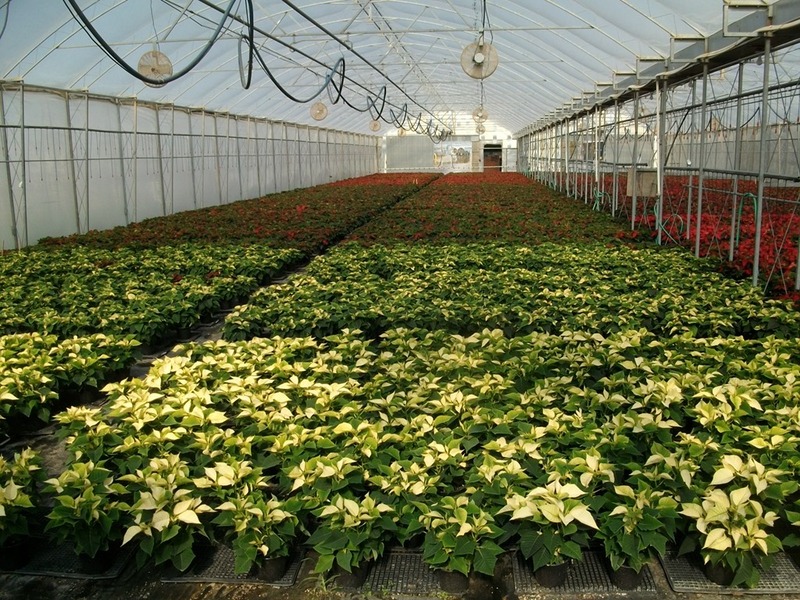 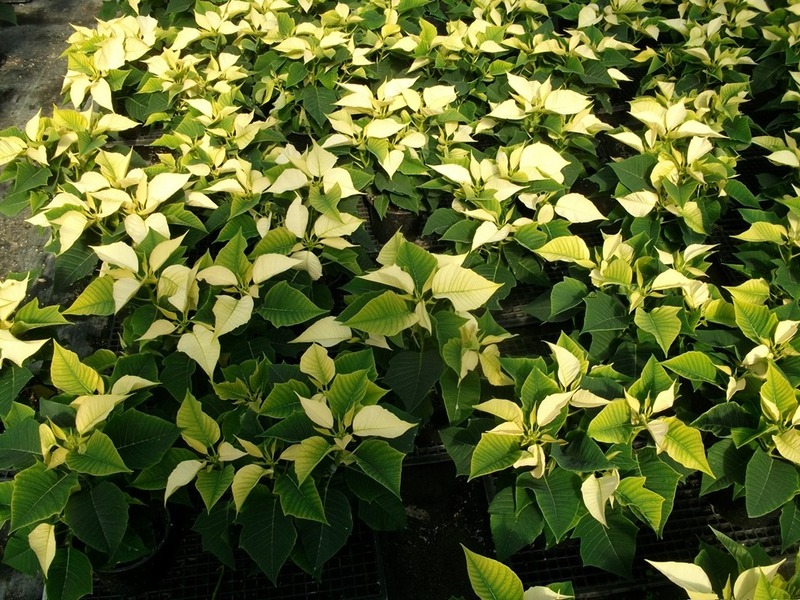 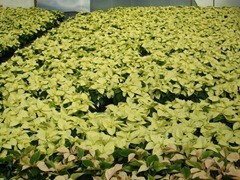 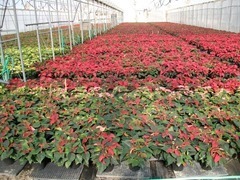 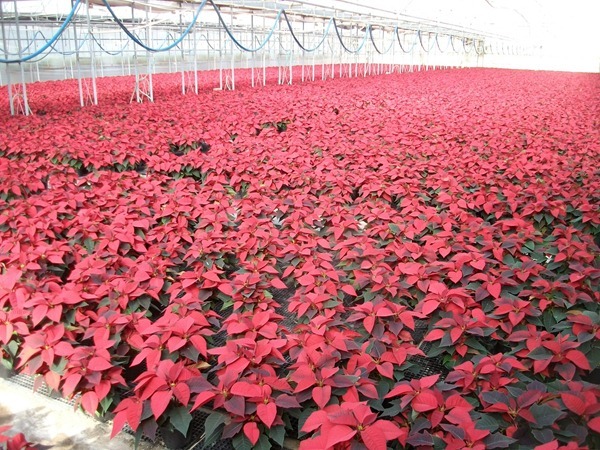 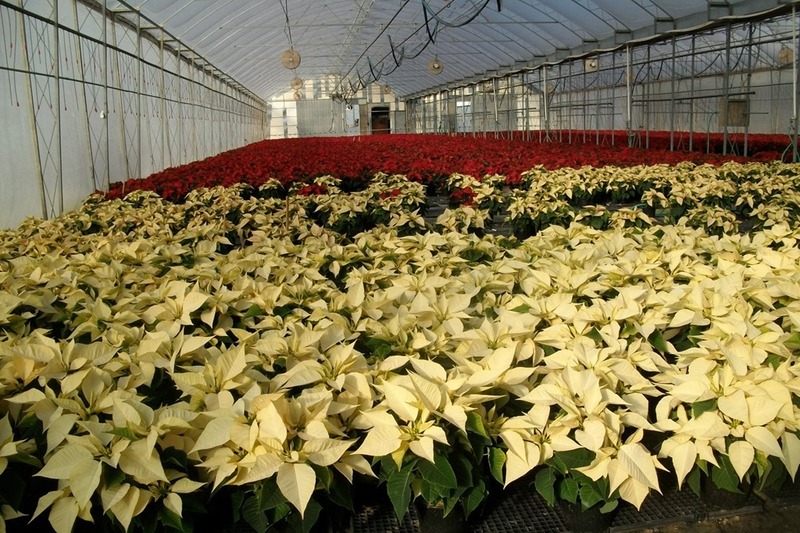 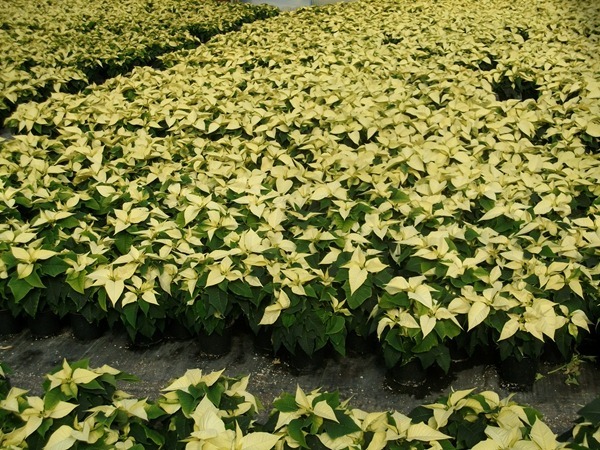 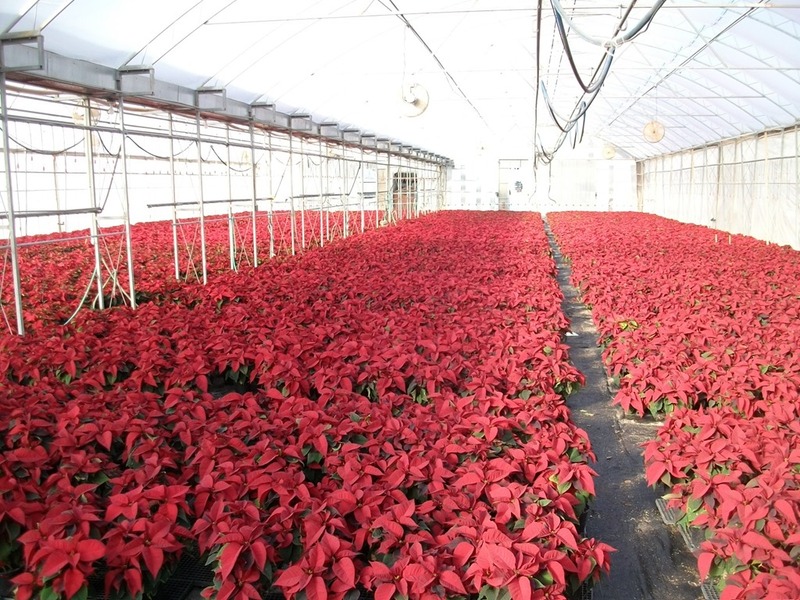 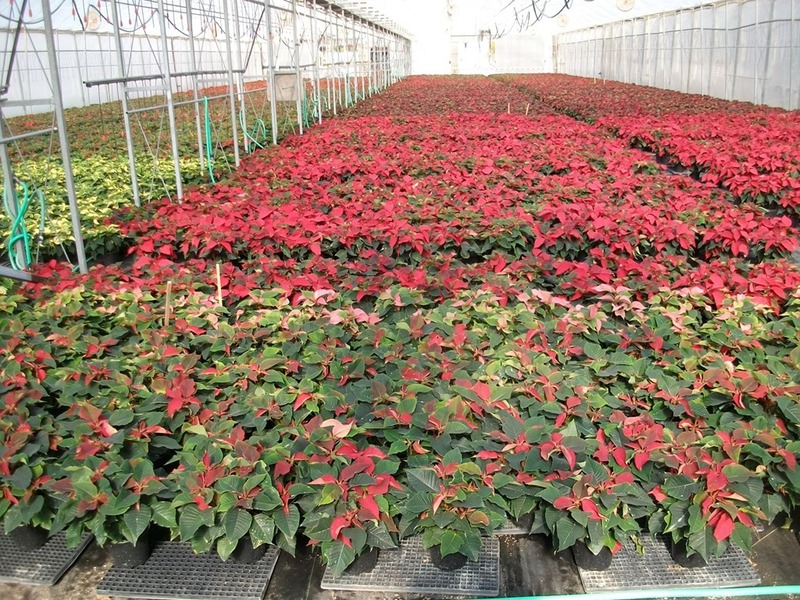 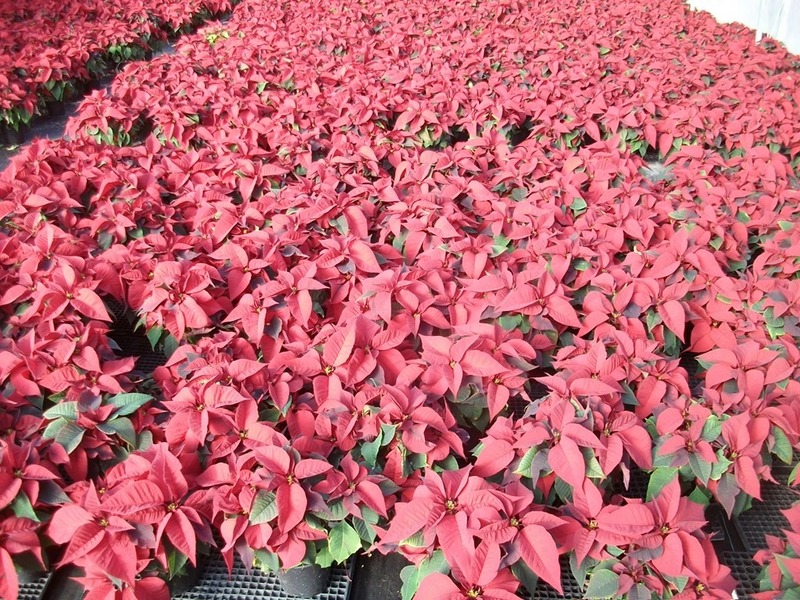 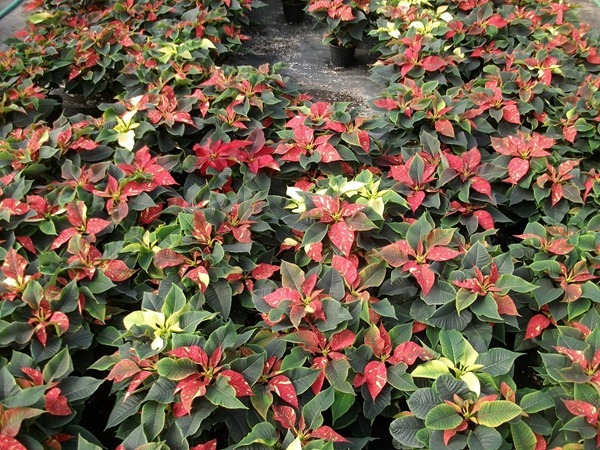 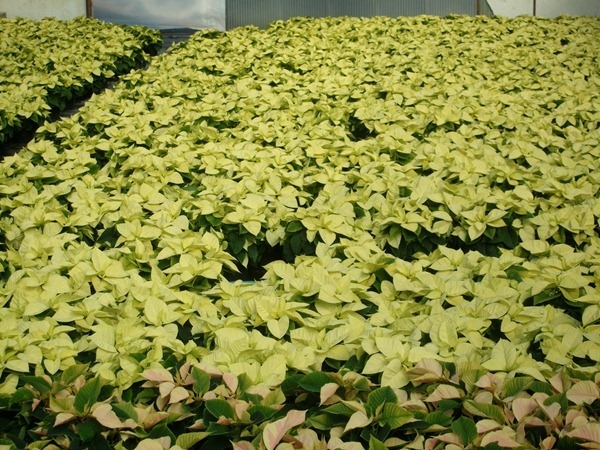 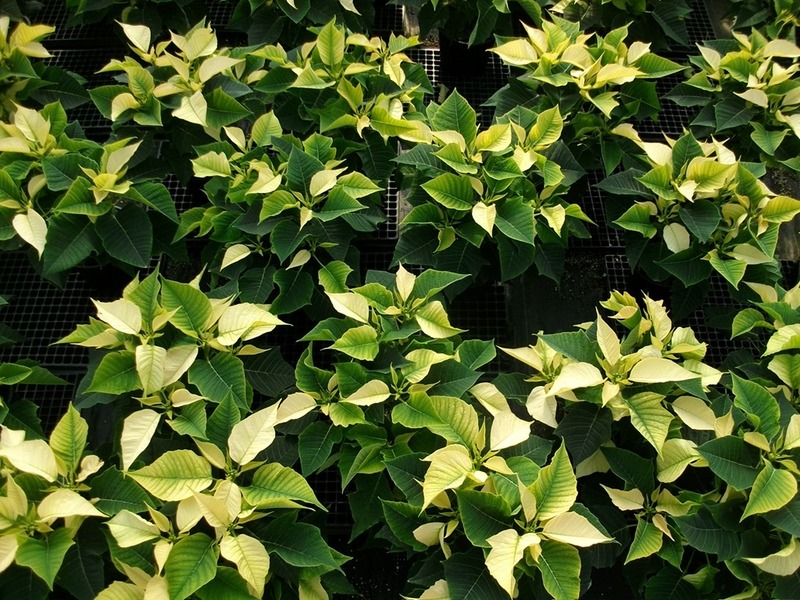 Here is a quick look at what our poinsettias look like today (Nov. 20, 2014) that we will be shipping out next week on Monday. 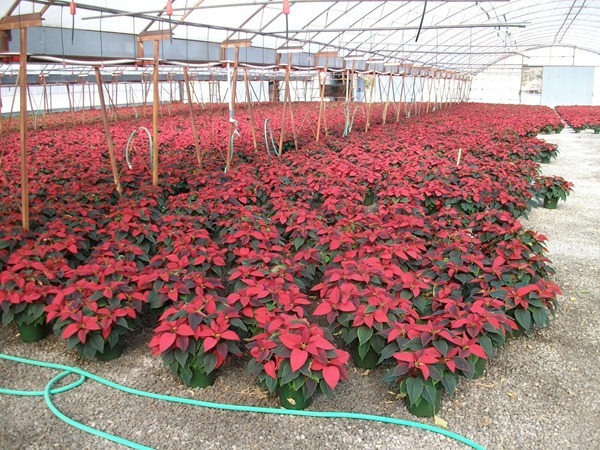 We will ship out most of this house of #6 Red on Monday. 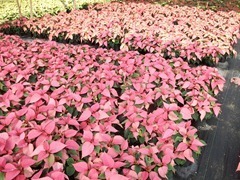 The #6 pink, maroon and white are looking good. 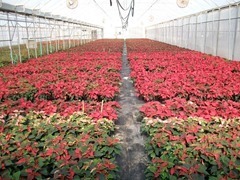 We will be pulling our #8 red poinsettias from this house. 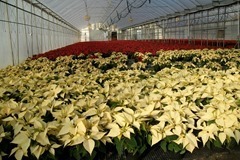 This first pic below is why we don’t like jingle bell. 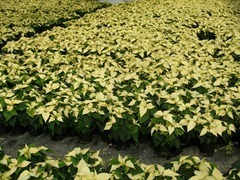 Actually the cutting supplier subbed white glitter for the jingle bell we ordered without asking us. The white glitter (and jingle bell too) have a tendency to revert and you get what you see in the first pic where part of the bract will be all white or all red instead of the mottled look that they are supposed to have which is shown in the second picture. 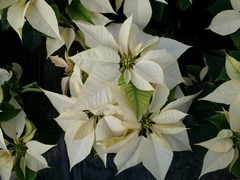 We probably won’t do these any more. 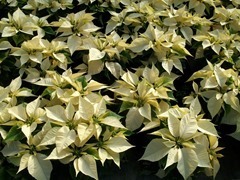 The new varieties were touted as “improved” but I don’t see much improvement in these white glitter.